Everybody loves a party. But between feeding and entertaining your guests, things can get expensive. 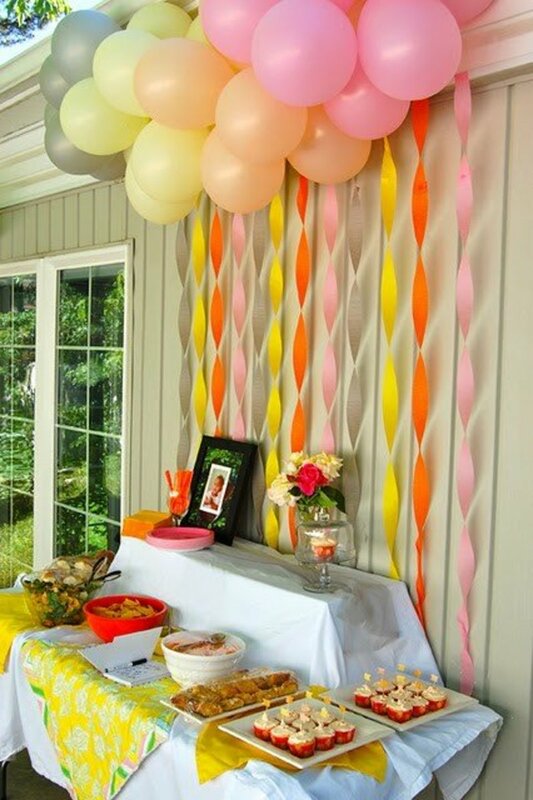 The first thing to get cut from a party budget is usually the decorations. Luckily for you, I've compiled the following pictures, links, and how-tos, so you don't have sacrifice style to save your wallet. Each project is fairly easy and costs next to nothing. You may even have some of the materials you need right in your home. While you don't have to be super crafty, these will take some hands-on time in the craft room (or kitchen table, in my case). But your time spent will be well worth it when you step back and see your beautiful handmade decorations hanging up at your party. If you have some little hands in your home, this is the perfect time to recruit their help. Have fun! 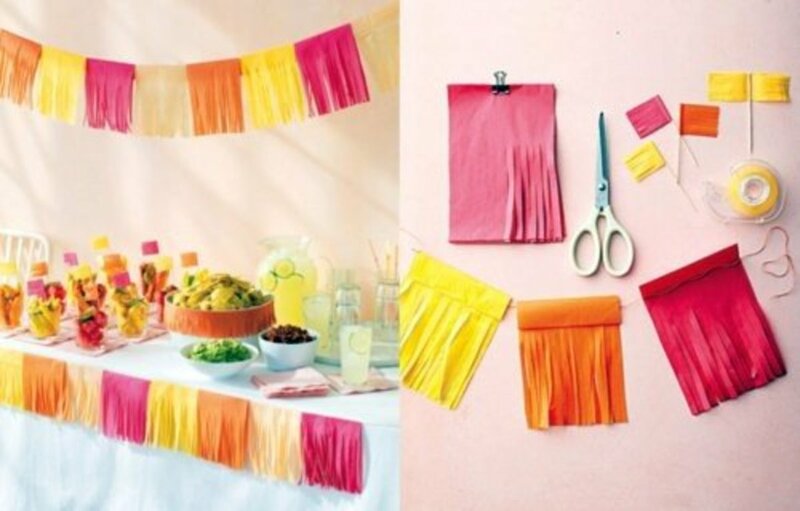 Birthdays, holidays, or 'everydays'—these quick do-it-yourself decorations are perfect for any party on a budget. 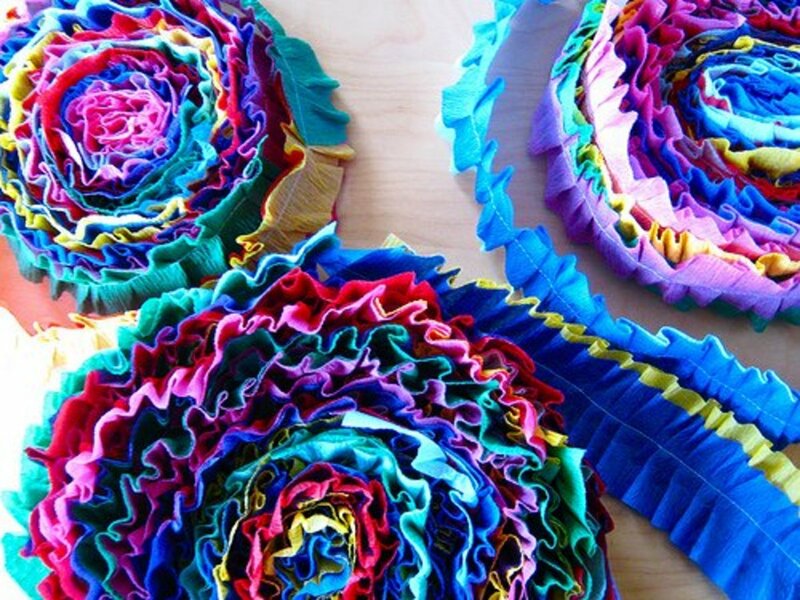 Sew two different colors of crepe paper streamers together to make these wonderfully ruffly rainbow streamers. The best part? They are reusable! 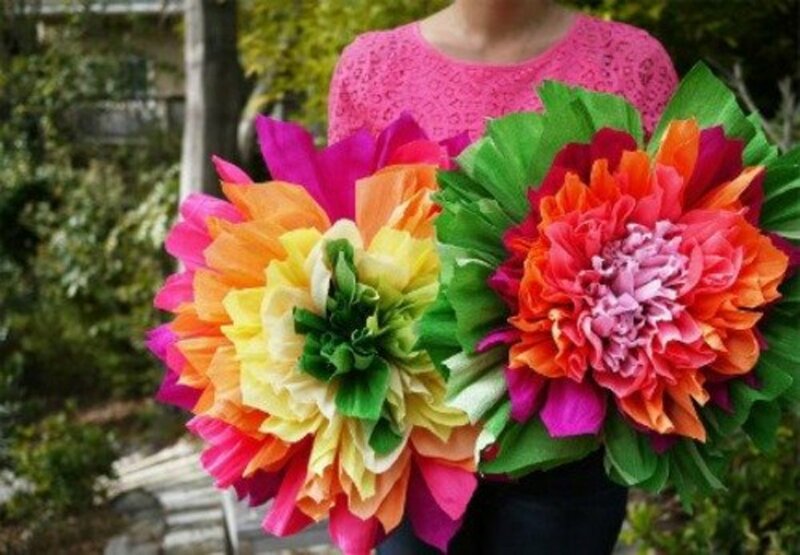 Cut the same length of crepe paper from each color. Line them up one on top of the other. Sew them together down the center, either with needle and thread or with a sewing machine. 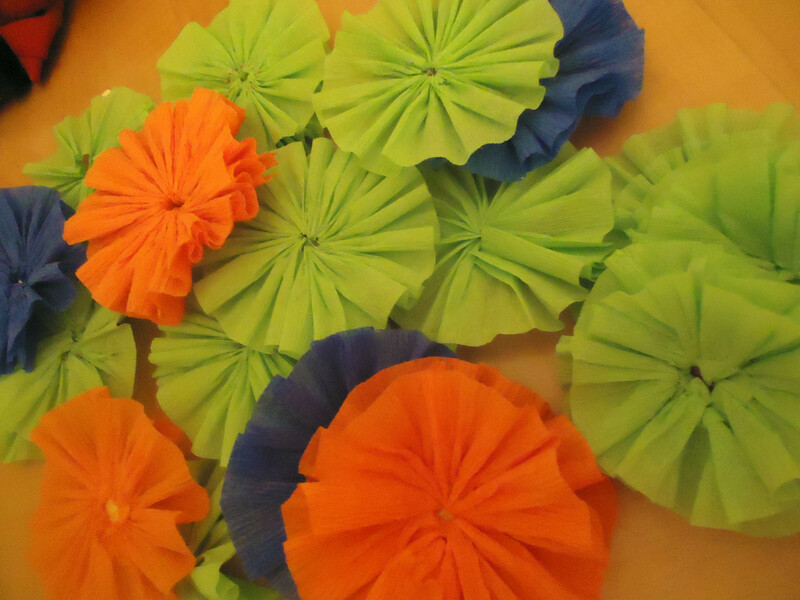 If you are using a sewing machine, you can push the streamers up as you're sewing to create the bunched ruffles. If you are sewing with needle and thread, you can simply stitch the layers together, then push the streamers up as you hold the thread taught to create the ruffles. For this approach, the wider your stitches, the larger your ruffles. These rainbow mobiles are sure to make a statement. 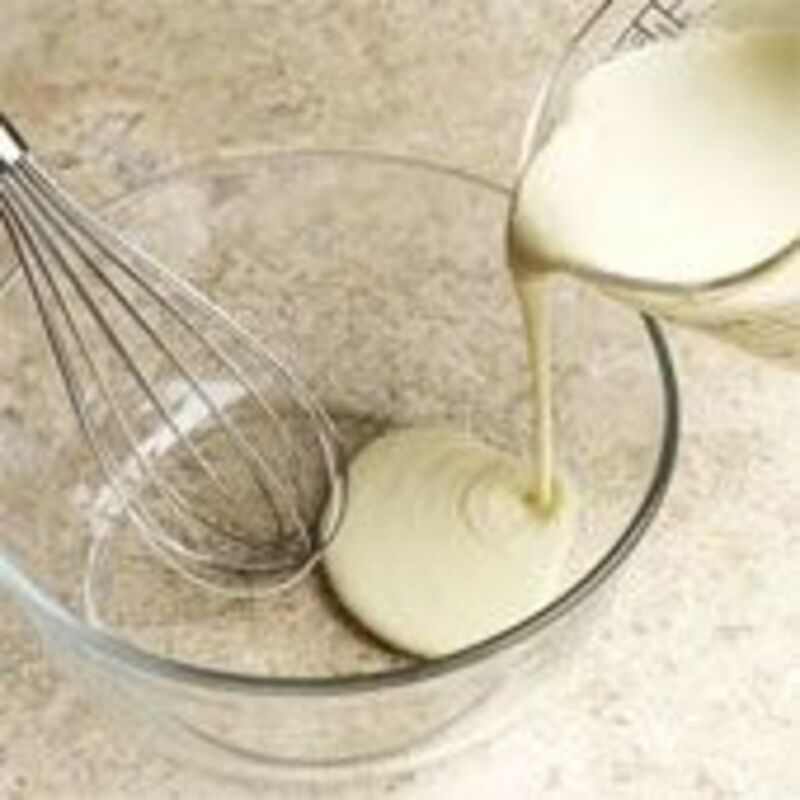 You can make your own with three simple steps. Attach a fishing weight to the bottom end of the mobile to keep it from moving too much. Hang it from the ceiling with artist tape. 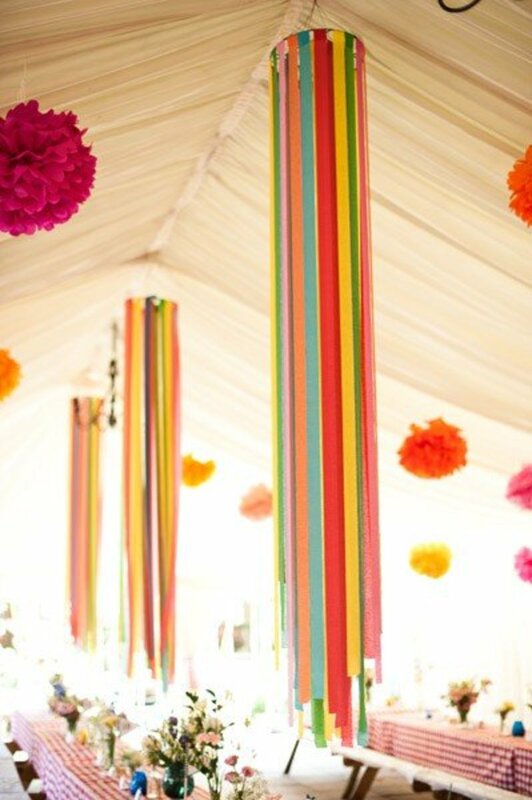 Cut the streamers varying lengths and insert each between the hoop's layers. Tighten the hoop and hang. 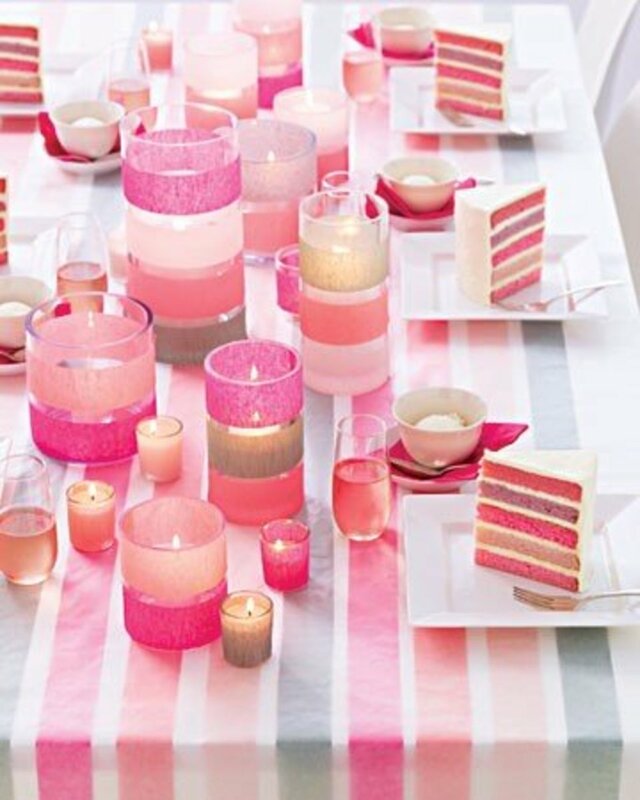 Create a matching table cloth and candle holders! 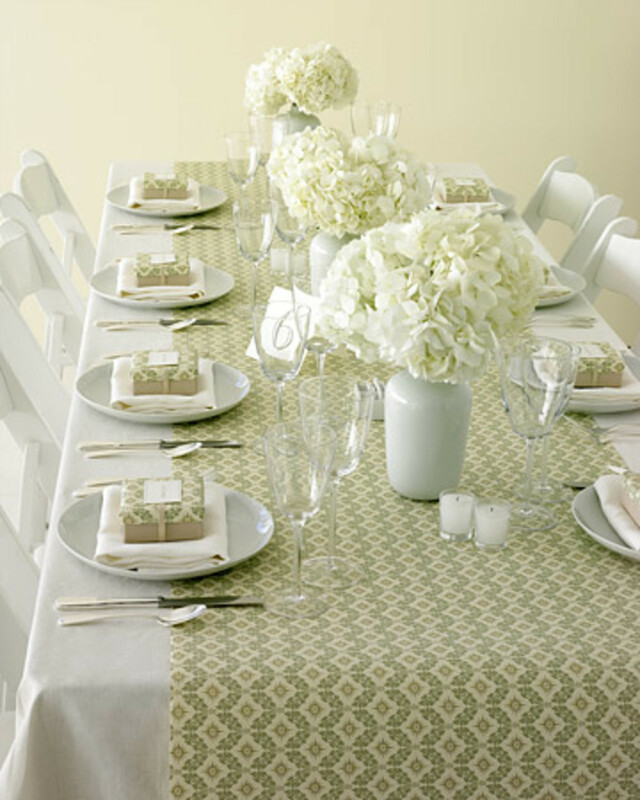 Cover your table with the tablecloth and use double-sided tape to attach streamers along the length of the table. Wrap bands of the streamers around each of the candle holders. Secure it with double-sided tape. These are fun and easily reusable! Use a large circle punch to cut out circles from coordinating scrapbook pages. Sew them together with a simple straight stitch. 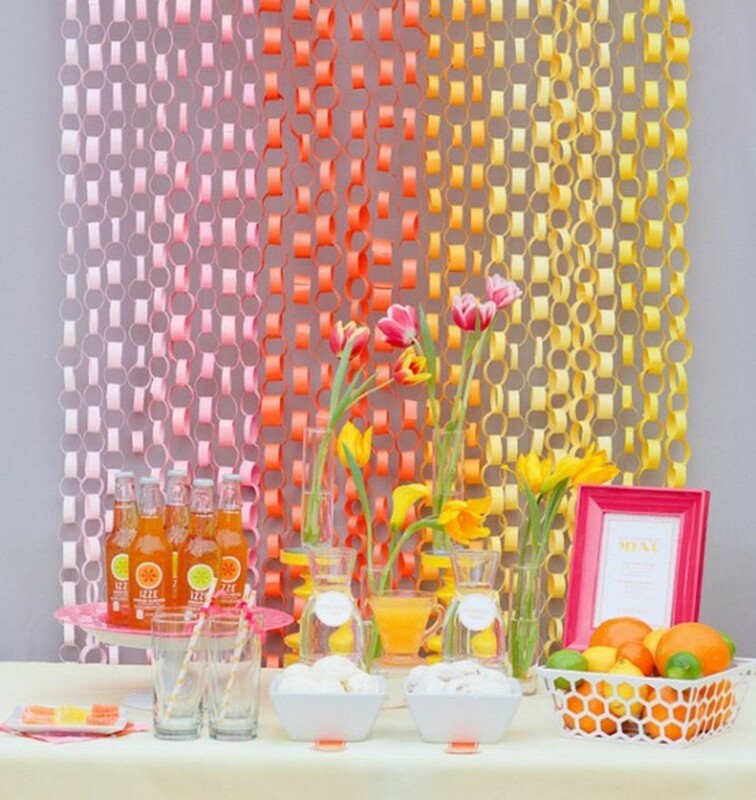 These paper chains create a beautiful backdrop for this dessert table. Never underestimate the simple beauty of a paper chain. Staple a strip of paper to form a loop. Thread the next strip of paper through the previous loop and staple it to form the next link in the chain. Repeat until the paper chain is the desired length. 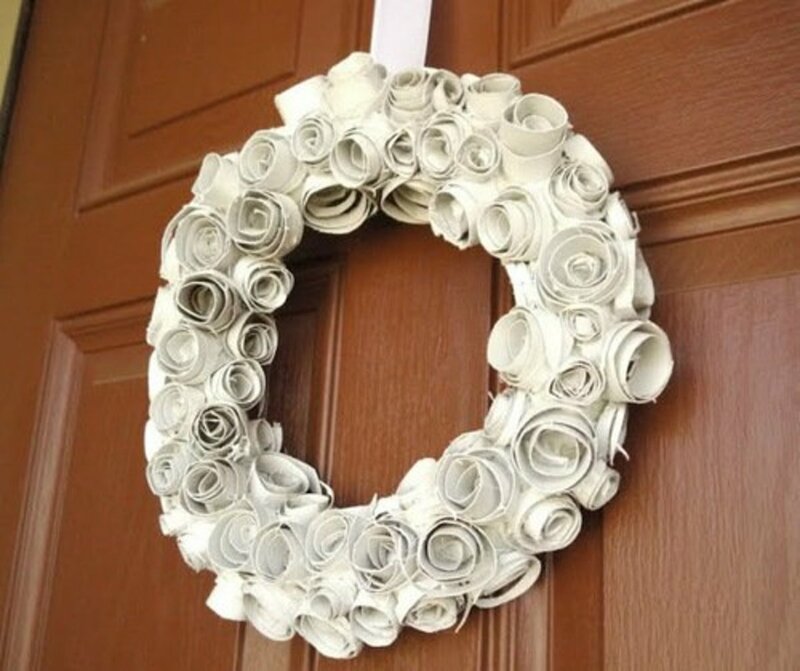 Make small ones for table décor or large ones to hang from the ceiling—or cover a styrofoam wreath to hang on your door. 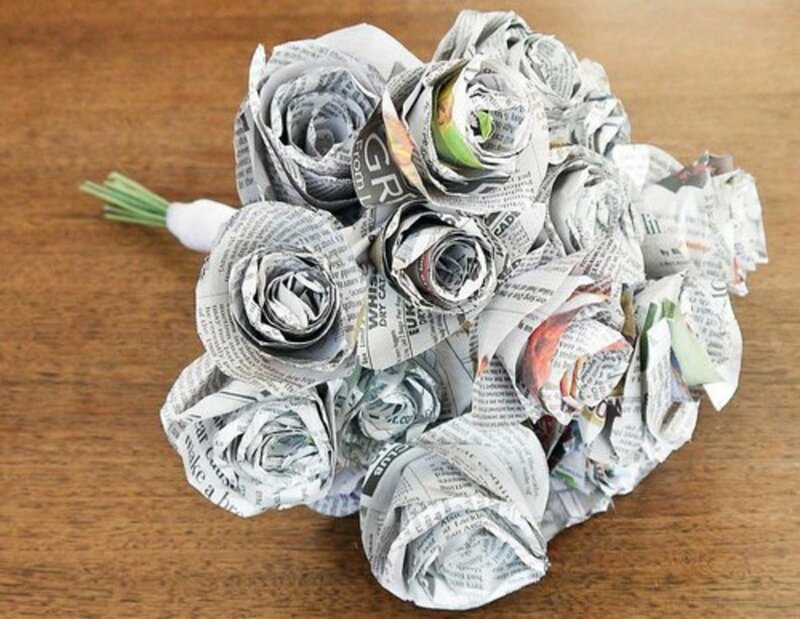 To make the roses, roll strips of crepe paper. Twist one end of the roll to form the stem and glue it so that it cannot unravel. 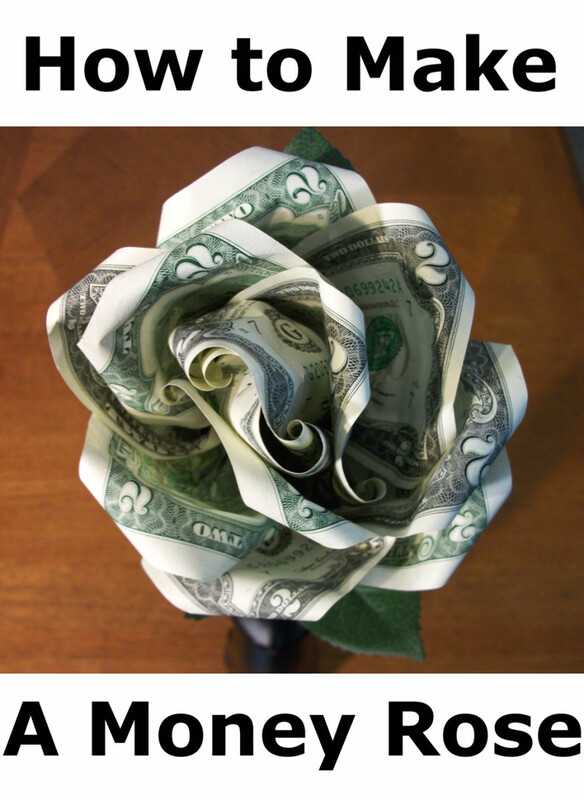 Then pull the layers of paper on the other end to open the petals of the rose. 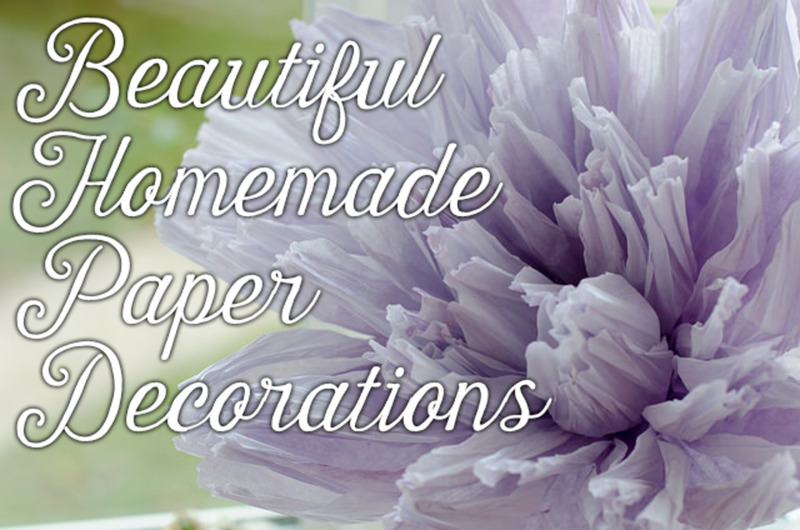 Repeat until you have created enough roses to cover your styrofoam object. 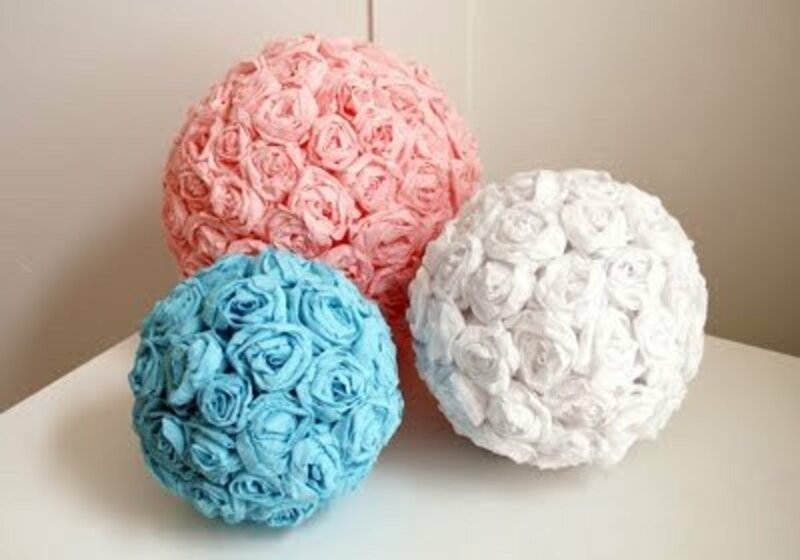 Glue the roses onto your styrofoam object. Tape the first end of the streamers where you want them to begin. 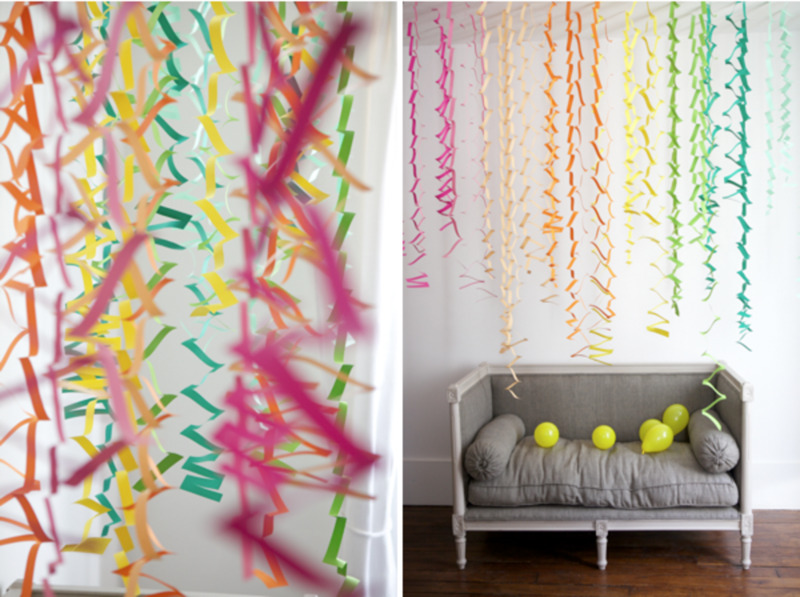 Twist them until you reach where you would like the streamers to end. Secure the end of the streamer with tape. A wrapping paper table runner is easy and cheap. It also comes in every color and design imaginable. Use double-sided tape to secure the runner along the length of the table. Cut the paper from left to right one centimeter below the top. Leave two centimeters uncut before reaching the right edge. Now do the same thing from right to left. Cut the paper one centimeter beneath your last cut, stopping two centimeters before reaching the left edge. Continue alternating directions until the entire paper is used. 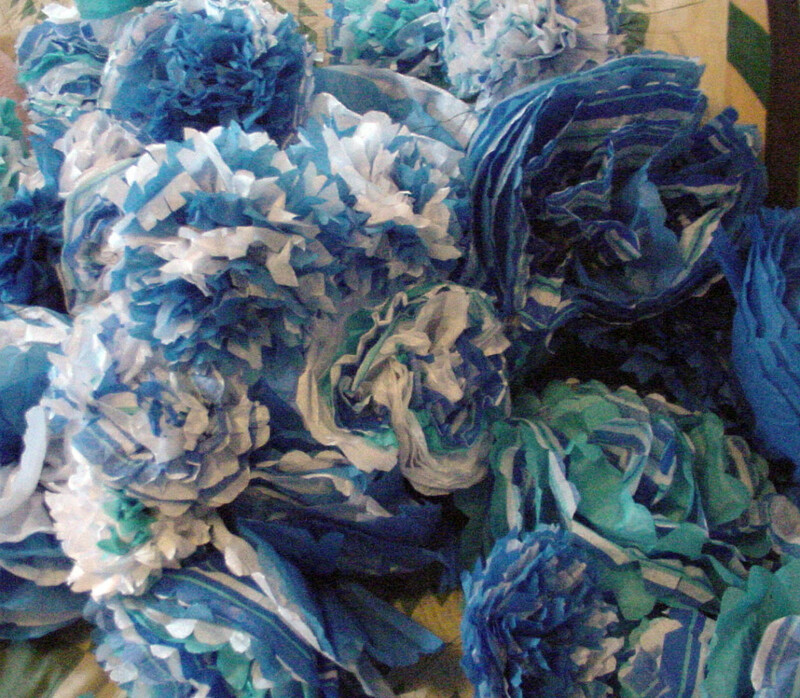 Accordion-fold stacks of tissue paper to make these giant pom-poms. Twist the floral wire around the center of the stack. Cut the petals into the desired shapes. Separate and fluff the petals. Tie the pom-pom to the ceiling with the thread. Cut the tissue paper into uniform rectangles twice the length you want the streamers to be. Fold each rectangle in half lengthwise. Cut fringe along the open end of the rectangle. Place the thread on top of the uncut part of the rectangle. Fold the top of the tissue paper over the thread and tape it down. Repeat with each rectangle of tissue paper. Hi what sized hoops did you use? Lovely ideas, well-explained and illustrated with beautiful pictures. Great hub! so beautiful! these came out lovely. Love these ideas! Voted up and awesome! Sharing. Absolutely awesome ideas! Vote up! Great ideas! 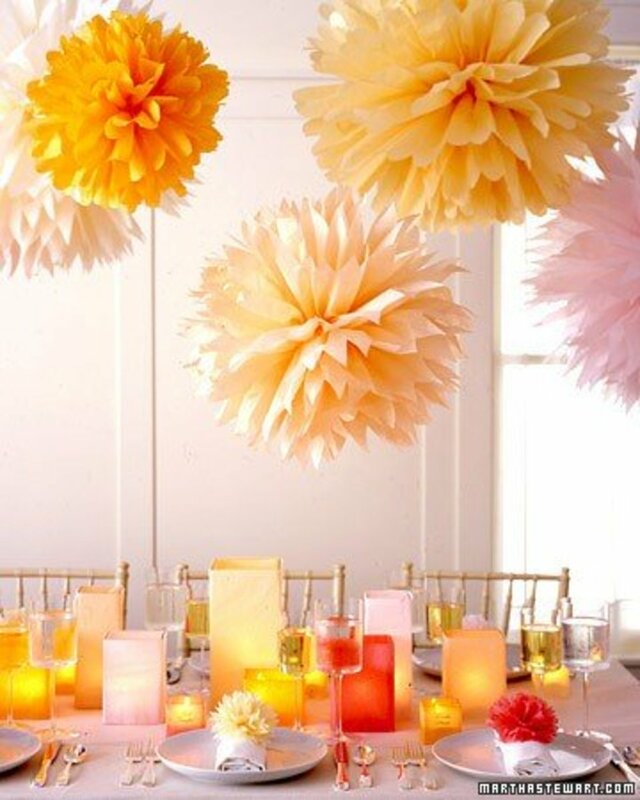 I never thought of sewing paper decorations, but it looks really fantastic! Fabulous ideas! I'm not much of a socialite but these make me want to throw a party! These are awesome, I will definitely use some of these. Such pretty, practical, and economical ideas! What a great way to add a lot of color. Thanks for sharing these great ideas! Great ideas. We are doing a party at my nonprofit and this is useful information because we have a very small budget. Voted up and useful. What great fun these are! 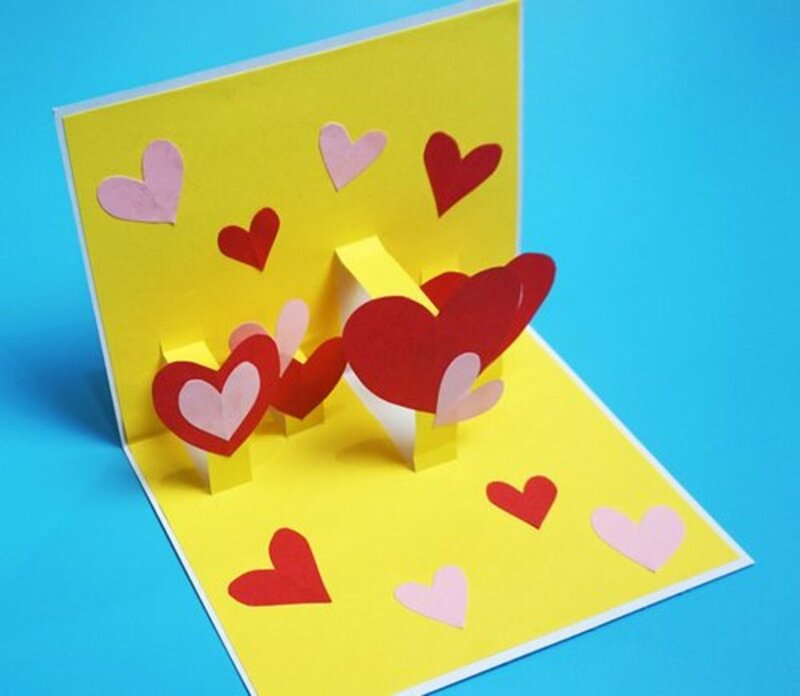 Though I am a paper craft lover, I wasn't so sure about the title, but these are delightful! Thanks for putting this together for us. These are beautiful! I love this idea.